Crisp sarnie lovers rejoice! You time has come. 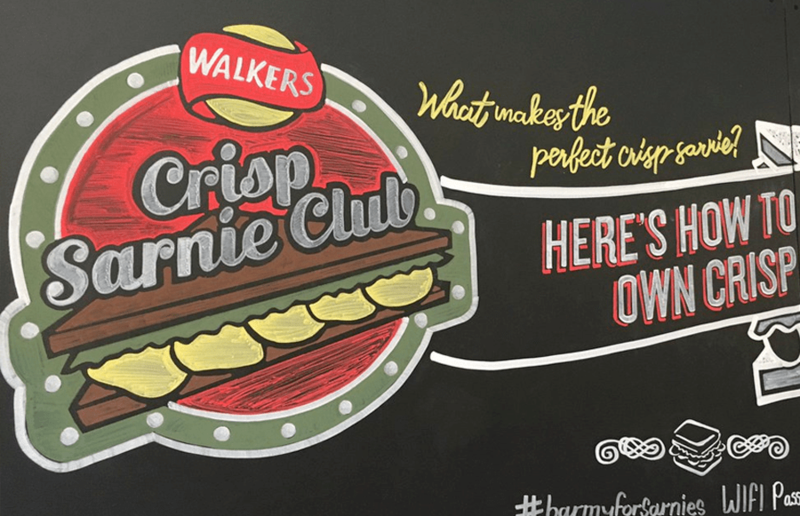 To celebrate the launch of Walkers six new sandwich flavour crisps, the British crisp brand have opened a speakeasy style Crisp Sarnie club for a limited time only. Located on Tooley Street the pop up is hidden behind a movable crisp shelf in a newsagents in London Bridge. The secret spot will offer yummy crisp sandwiches and drinks all for £3. Inside, you can ‘build-your-own crisp sarnie’ and enjoy a drink as well as other fun, sandwich-themed activities. Your slot gives you access to the secret hide out for 45 minutes, and tickets purchased in advance on Eventbrite will cost £3 plus a 50p Eventbrite booking fee. This will allow each guest 1x crisp sandwich and 1x drink. ‘Members will then be invited by the club’s Maître’D to sit back and immerse themselves in the sarnie-themed antics, sights and sounds,’ they’ve also revealed. Walkers have knocked out a selection of new crisp flavours, and they’re worth checking out. 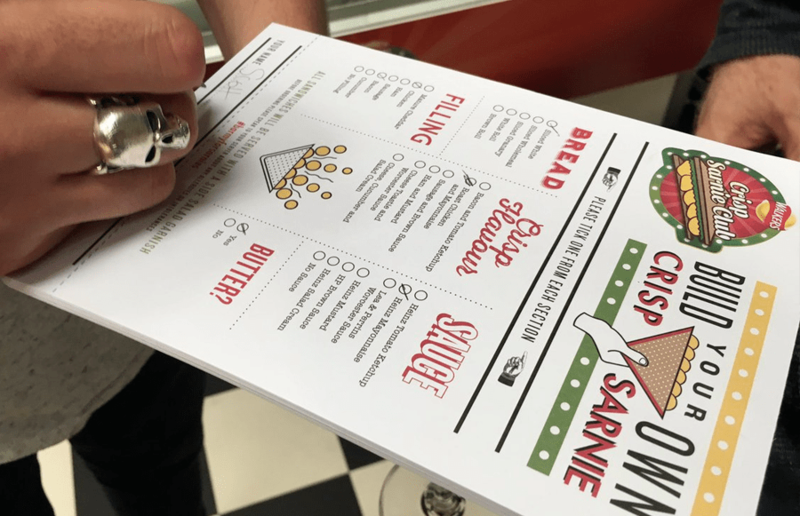 The new range includes Cheese Toastie & Worcester Sauce, Sausage & Brown Sauce, Bacon & Tomato Ketchup, Ham & Mustard, Roast Chicken & Mayonnaise and Cheese, Cucumber & Salad Cream. My personal favourite is the bacon sandwich with Heinz tomato ketchup inside. It honestly tastes like a bacon sandwich – not bacon flavoured crisps! The Crisp Sarnie Club is located behind Chris Peter’s News at 112/114 Tooley Street, London Bridge. The club is open on Thurdays, Fridays and Saturdays from Sep 8. Each day there are 240 bookable seats in advance and up to 60 walk-in seats available. Tickets are £3.50 and can be booked online. You bring the rum, I'll bring the raspberries. Perfect daiquiris all round. Roof East is back for it’s summer season with new food stalls, adult playground and yoga!